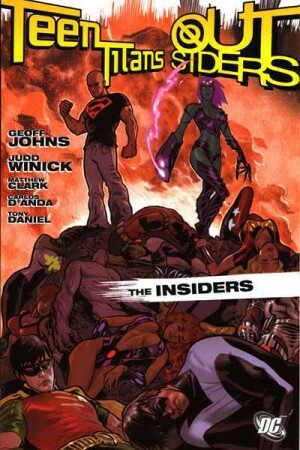 Since their early 1980s reboot the sometimes Teen Titans, sometimes plain Titans, have been built around a core group of characters. In every revival since at least a couple of these feature, along with their latter day replacements bearing the same names. Yet in the even more distant past another group of characters were prominent, the likes of Gnarrk, Lilith and Mal now long forgotten. 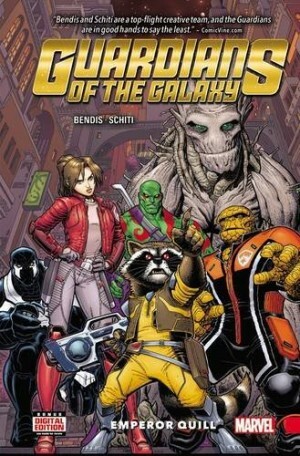 Dan Abnett’s plot places them at the centre of events similar in tone to those in which they starred in the early 1970s. Colourful superheroes were out of vogue and the Teen Titans involved themselves with mystical and supernatural menaces, although for some reason the cover is a homage to a Justice League issue (albeit originally drawn by Teen Titans artist of the era Nick Cardy). Abnett’s done his research. 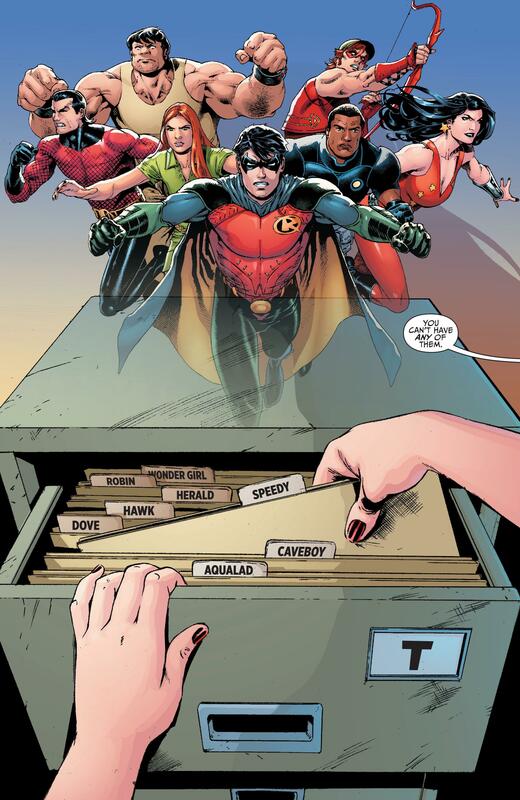 Anyone familiar with the Teen Titans canon will catch one sly reference after another as a group of puzzled twenty somethings investigate the strange impulses they’re experiencing and try to piece together how they know each other. 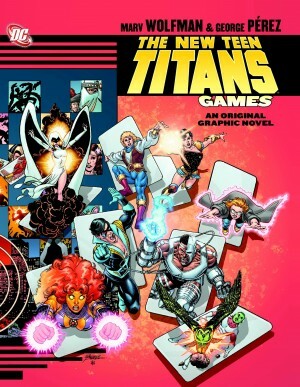 Abnett features a malevolent updating of a previously ridiculous Teen Titans foe, and explains why many of the cast have been forgotten despite their connections, but he can’t untangle the tortuous effect of too many continuity reboots undermining logic. An already complex and drawn out plot is dragged down further by slapdash art. Paulo Siqueira (sample page) is the most prominent of several pencillers, and can lay out a page in thrilling fashion, but there’s frequently something wrong with the way his people look. What should be foreshortening instead fosters the impression of a withered arm, which isn’t helped by a determination to provide stylised muscle definition. Stephen Sergovia, who also contributes a fair number of pages, works in a similar style, but his women are preposterously endowed and he poses his characters at odd angles. This is presumably intended as dynamic, but sometimes makes them seem as if their necks are broken. Paul Pelletier concluding matters is far more pleasing to the eye. Some viable ideas lie beneath what’s extended far too long. Roy Harper is the focus of the first pages, and his dissolute characterisation is compelling: “Roy doesn’t have the demons. It’s the lack of them that scares him dumb. No-one ever understands. He doesn’t drink to forget, he drinks to remember”. This is eventually lost in the morass that Titans Hunt becomes as the team unite and face their foe, each stage artificially prolonged, never more so than the time wasting supplied by some misguided transformers. 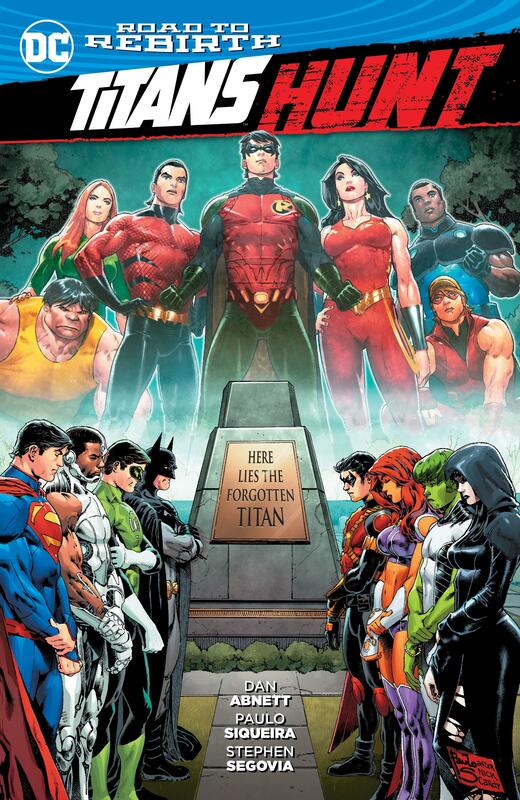 The relevance of the cover is only an afterthought, by which time it’s become apparent that the entire book doesn’t stand alone, but is intended as a rebranding of the Titans name. 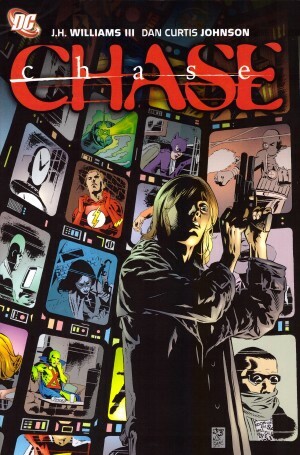 This discards the mainstsays who’ve sustained that since the 1980s by reverting to the 1970s cast, and the first chapter of the subsequent series, with sloppy and distorted art by Brett Booth, is also included. This is after a Justice League story introducing Robin to that team that appears to have no relevance. A neat touch in the bonus features adds another character to pencilled pages offering an alternative explanation for some story events. That, though, is too little, too late. Abnett prolongs the tease way past closing time and doesn’t fulfil.